Missing teeth are embarrassing and can take a toll on your confidence. The good news is that treatments like dental bridges can restore both your smile and your confidence. 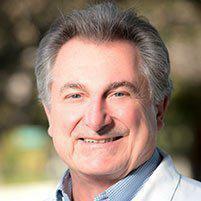 Russell D. di Bari, DDS, of Sunnyvale, California, is highly experienced and can help you with dental bridges and other restorative treatments. Book online or call today. A dental bridge is a restorative treatment used to “bridge” the gap between one or more missing teeth. A dental bridge is often used with two or more crowns to replace missing teeth on either side of the empty space and is anchored by either implants or neighboring healthy, natural teeth. What types of conditions can be fixed by dental bridges? What’s the process for getting a dental bridge? Getting a dental bridge is similar to the process for dental crowns, as it is important that the final prosthetic not only mimics the teeth it’s replacing, but also fits in with neighboring teeth so it functions properly. The entire process happens over two appointments. During the first appointment, Dr. di Bari prepares the teeth on either side of the gap. These teeth will anchor the dental bridge and will need to be shaved or thinned so a crown can fit over them. Dr. di Bari will then focus on getting impressions of the full components that will be used to make your dental bridge in a laboratory. These components include the bridge itself, the artificial teeth, also called pontics, and anchoring dental crowns. Dr. di Bari places a temporary bridge for you to wear while the permanent bridge is being made. Dr. di Bari removes your temporary bridge and checks the permanent bridge for needed adjustments. Since fit is crucial for comfort and function, you might need extra visits to Dr. di Bari to check and tweak the fit of the metal framework and bite. If you are missing teeth and think you may be a candidate for a dental bridge, contact Dr. di Bari in Sunnyvale, California. Book your appointment online or call today.